Our Ultrasonic Antifouling systems are also effective in the protection of sea strainers, sea chests, raw water pipes and heat exchangers. As these systems are critical to the operation of your vessel it is ideal to include ultrasonic protection to improve flow, reduce fouling and improve the efficiency of your heat exchangers and cooling systems. 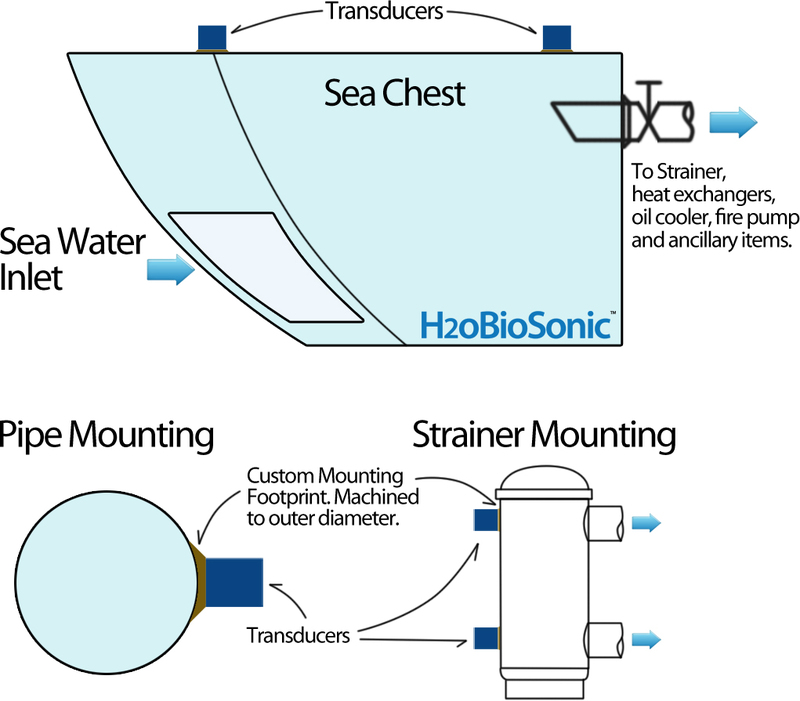 The main factor in determining the correct system and number of transducers required for ultimate protection your sea chests and strainers is flow rate, configuration, size and diameter of pipe work, etc. It is best to contact us to discuss the application so that we can best specify a system for protection. The Ultrasonic Transducers are installed in strategic locations throughout the system to spread protection and target where required for ultimate protection. Ultrasonic energy provides sterilisation and the scrubbing effect to the inside of the pipe and water body to prevent / reduce growth. Globatech Australia, the manufacturer of CleanAHull™, also manufactures the H2oBioSonic™ systems which are an industrialised more powerful and adaptable solution for larger Sea chests, strainers, HVAC systems and heat exchangers. It is best to contact us for more information and configurations. 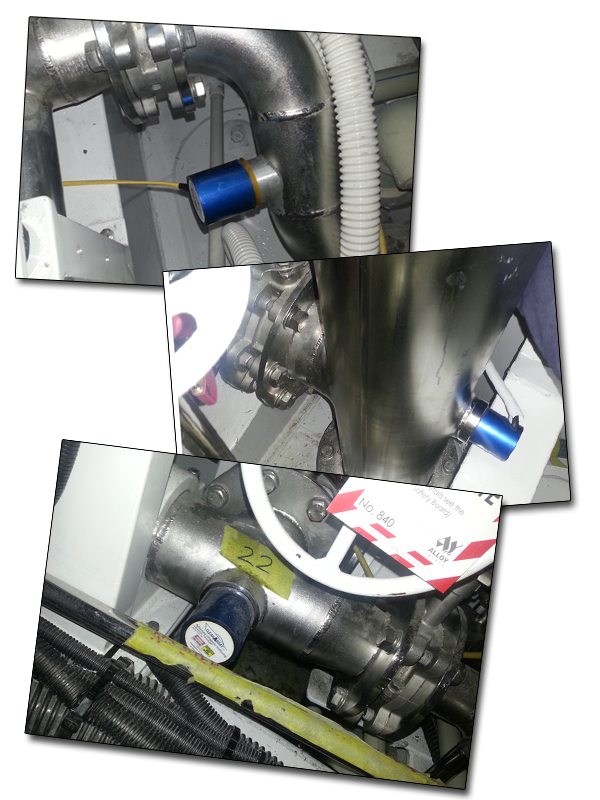 Below is a collection of images showing some of the installations on sea strainers, chests, seawater piping and more.